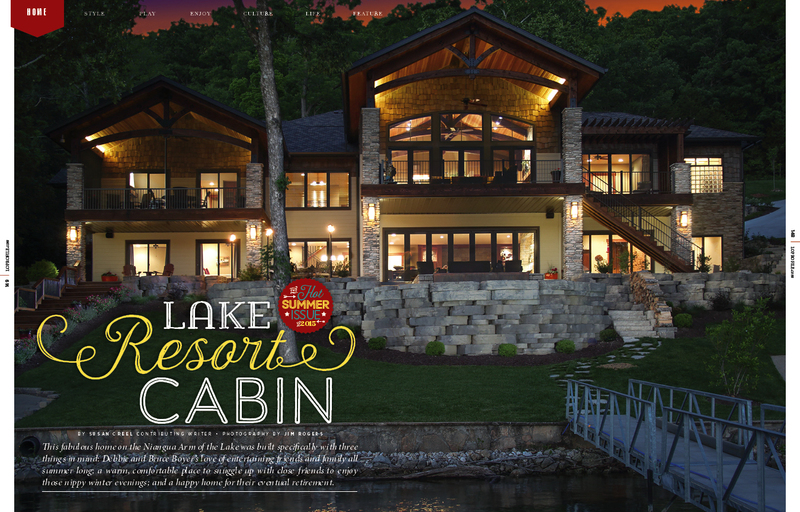 This breezy home has transformed the 5 mile marker into the Nantucket of the Lake of the Ozarks! Christmas is all about memories — recalling precious old ones and creating treasured new ones. 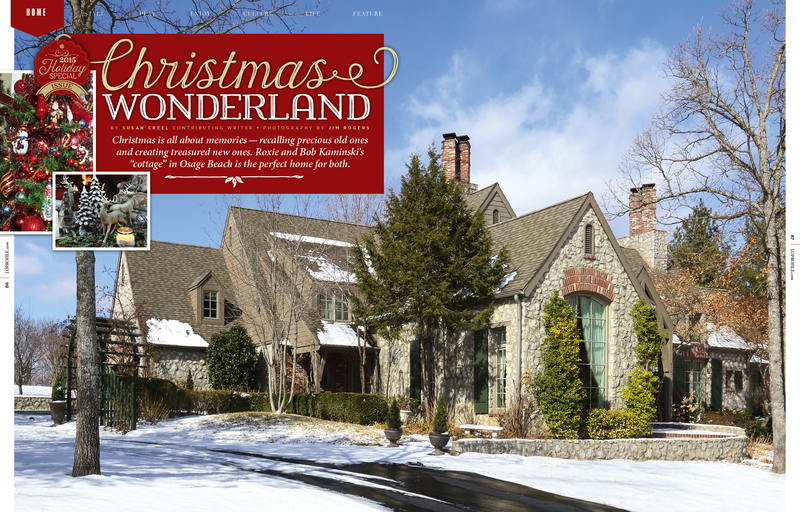 Roxie and Bob Kaminski’s “cottage” in Osage Beach is the perfect home for both. 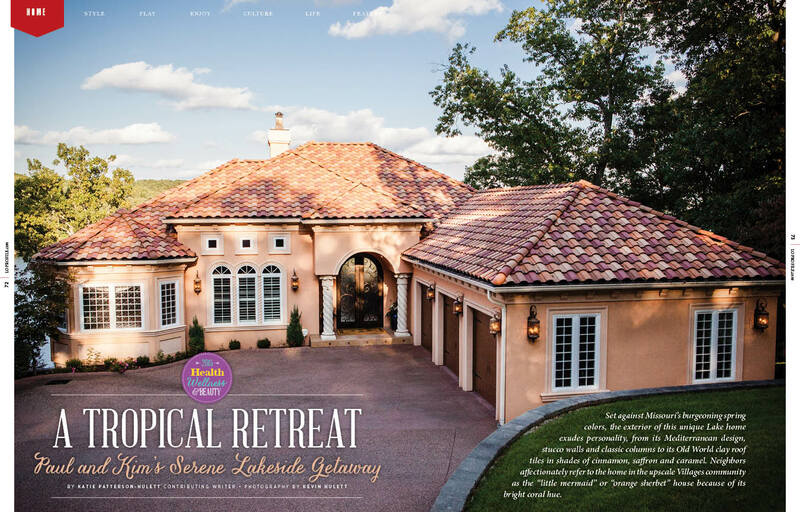 This fabulous home on the Niangua Arm of the Lake was built specifically with three things in mind: Debbie and Bruce Boyer’s love of entertaining friends and family all summer long; a warm, comfortable place to snuggle up with close friends to enjoy those nippy winter evenings; and a happy home for their eventual retirement. 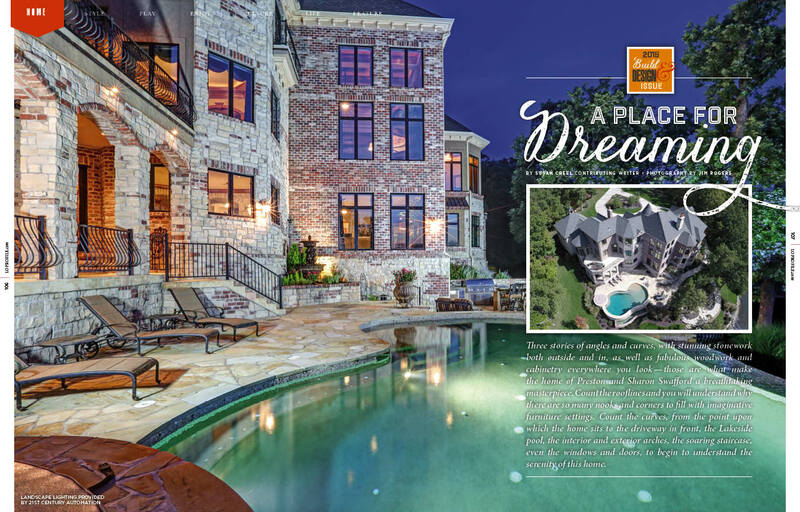 Three stories of angles and curves, with stunning stonework both outside and in, as well as fabulous woodwork and cabinetry everywhere you look — those are what make the home of Preston and Sharon Swafford a breathtaking masterpiece. Count the rooflines and you will understand why there are so many nooks and corners to fill with imaginative furniture settings. 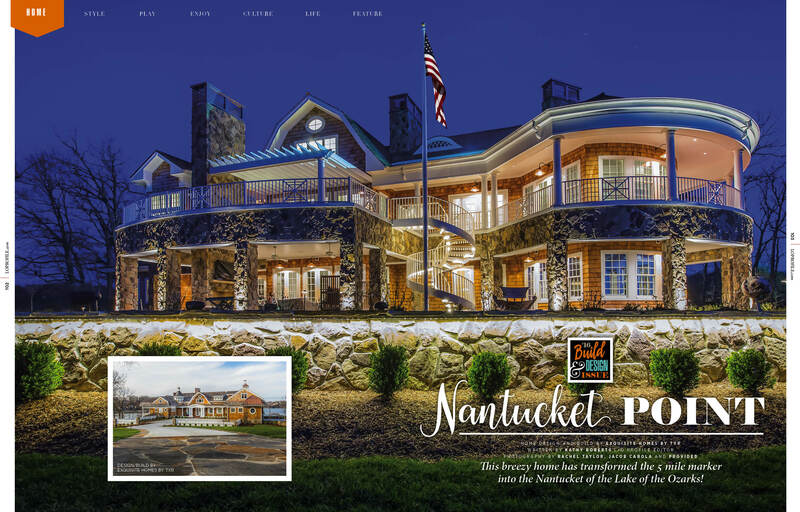 Count the curves, from the point upon which the home sits to the driveway in front, the Lakeside pool, the interior and exterior arches, the soaring staircase, even the windows and doors, to begin to understand the serenity of this home. 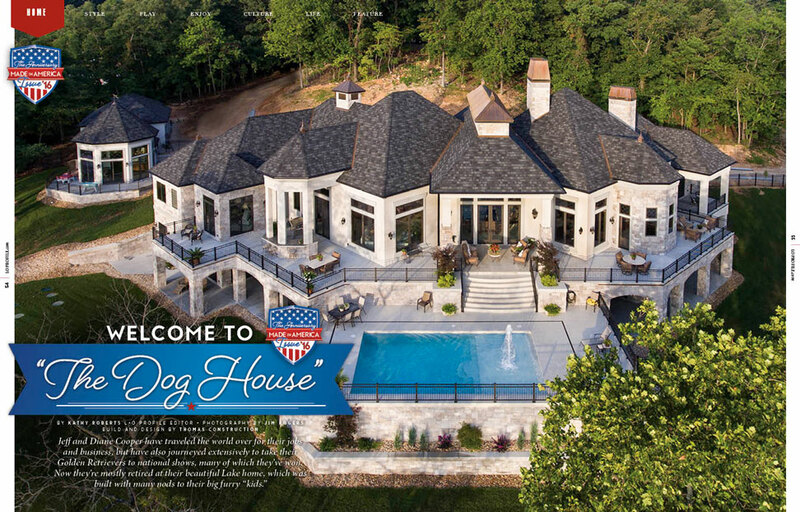 Set against Missouri’s burgeoning spring colors, the exterior of this unique Lake home exudes personality, from its Mediterranean design, stucco walls and classic columns to its Old World clay roof tiles in shades of cinnamon, saffron and caramel. Neighbors affectionately refer to the home in the upscale Villages community as the “little mermaid” or “orange sherbet” house because of its bright coral hue.